The Journal is an open-access electronic journal that publishes studies with scientific qualities and aims to contribute to the scientific accumulation in the disaster's context. The Journal of Disaster and Risk uses double-blind review, which means that both the reviewer and author identities are concealed from the reviewers, and vice versa, throughout the review process. Disasters that cause physical, economic and social losses; natural or technological events that affect communities by stopping or interrupting normal life and human activities. The number of disasters and losses from disasters increases the importance of academic studies on this study area worldwide. 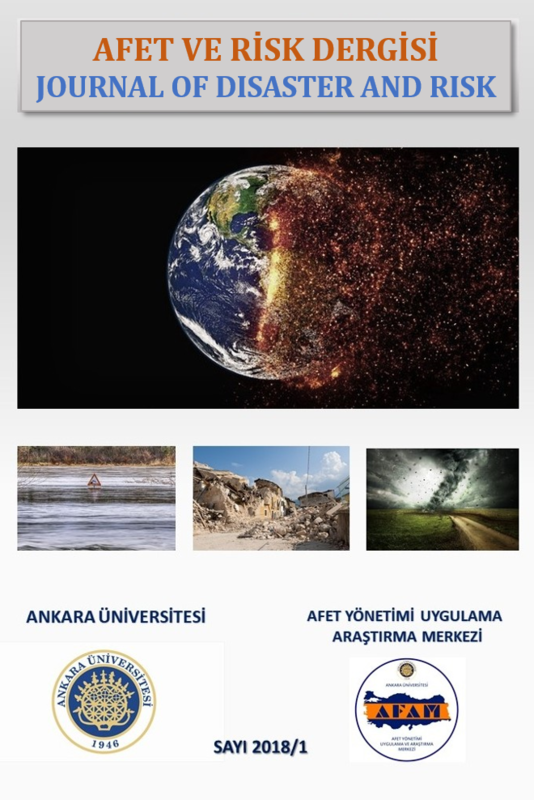 The Journal of Disaster and Risk aims to be an academic platform for the evaluation of disaster-related studies in different disciplines and for sharing with the world. The journal, which will be published in Turkish and English languages twice a year, aims to publish special numbers in the current issues during the year. The journal is on Ulakbim web portal. All articles submitted to the journal is firstly evaluated by the editorial board and if it is suitable, it is reviewed by at least two academic reviewers chosen by the editorial board. The Journal of Disaster and Risk uses double-blind review, meaning that the identities of the reviewers and authors are concealed from the reviewers, and vice versa, throughout the review process. The reviewing process of the manuscripts that are out of the Journal’s scope and not related with the subjects or not prepared in the format outlined in the author guidelines cannot be started. The Journal of Disaster and Risk does not charge any submission or processing fee. The Journal of Disaster and Risk uses the iThenticate software to determining for plagiarism in the text of submitted manuscripts. The Journal of Disaster and Risk is abstracted and indexed in DRJI. Please click here to access the Author Guidelines. This journal is licensed under a Creative Commons Attribution-NonCommercial-NoDerivatives 4.0 International License.